The Southern Pioneer Health Insurance Company was not found after a lengthy search. 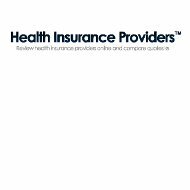 Two companies with similar names, Southern Pioneer Property and Casualty Insurance Company and Southern Pioneer Life Insurance Company, do not sell health insurance products. As a result, Southern Health Insurance Company will be covered instead. Type in your zip code to review your personalized health insurance rates! The Southern Health Insurance Company is owned by Coventry Health Care Insurance Company. Southern Health Insurance Company offers health insurance products to consumers in Virginia and has received awards and honors for its comprehensive coverage. Primary medical coverage from Southern Health Insurance Company is available to both individuals and employers. On the company website, consumers are able to read about the different types of insurance products that are offered, including vision, dental and prescription plans. Southern Health Insurance Company is also dedicated to promoting healthy lifestyles. Policyholders are able to read tips, articles, and news stories designed to make them more knowledgeable about their personal health. The health insurance plans sold to individuals and families are categorized by service and price. Medicarerecipients can purchase supplementary plans, whether they have part A or part B. More affordable plans are available to consumers with limited income. Employers can also select supplementary health insurance products from Southern Health Insurance Company. The Southern Health Insurance Company offers an easy to use online health insurance quote system. Visitors can enter their zip code to see what Southern Health Insurance Company plans are supported in their areas. Subsequently, consumers can also come back to review their quotes in the future or to submit partially completed health insurance applications. This affords them the opportunity to compare rates at other companies before making a commitment. The online health insurance quote application only has three steps. Users need to select what date they want their health insurance coverage to begin as well as state if they are tobacco users. After reviewing their quotes, they can make a selection and save their progress. All hiring for the Southern Health Insurance Company is done by Coventry Health Insurance Company. Since the Coventry Health Insurance Company operates in all 50 US states, there are job openings available in nearly every part of the country. Job seekers need to find the position that they are interested in being hired for in order to successfully submit an application. Jobs in the finance, information technology, health care, engineering, and insurance industries are currently available. Coventry Health Insurance Company also holds recruiting events, typically in major U.S. cities. This is done when the company needs to expand or anticipates handling an influx of insurance policies. The main phone number for Southern Health Insurance Company is 1-800-627-4872. Policyholders can call between 8:30AM and 5:30PM during weekdays. There are many different ways for Southern Health Insurance Company policyholders to voice their questions and concerns. Southern Health Insurance Company even lists the department and phone number that customers are to reach if they have complaints. Phone numbers for interpreters, insurance claims, and website support assistance are also listed. Because all of this information is readily available on the Southern Health Insurance Company website, it is safe to say that this company offers great customer care. Policyholders can log into the Southern Health Insurance Company website to adjust their accounts. They can get the same results by writing to Southern Health Insurance Company or by calling the toll free phone numbers. Although the hours of operation may be limited, Southern Health Insurance Company gives its customers numerous ways to get in contact with customer service. See your real time health insurance quotes now by entering your zip code!